Baseball giants the LA Dodgers handed out 100 free vegan Thanksgiving turkeys for the first time at its annual giveaway last week. The vegan turkeys with wild-rice stuffing - donated by Tofurky - were distributed as part of the team's Annual Community Outreach Program at the Dodger Stadium. Dodgers organization staff collected the food from PETA's Bob Barker Building Sunset Blvd on the day of the event. 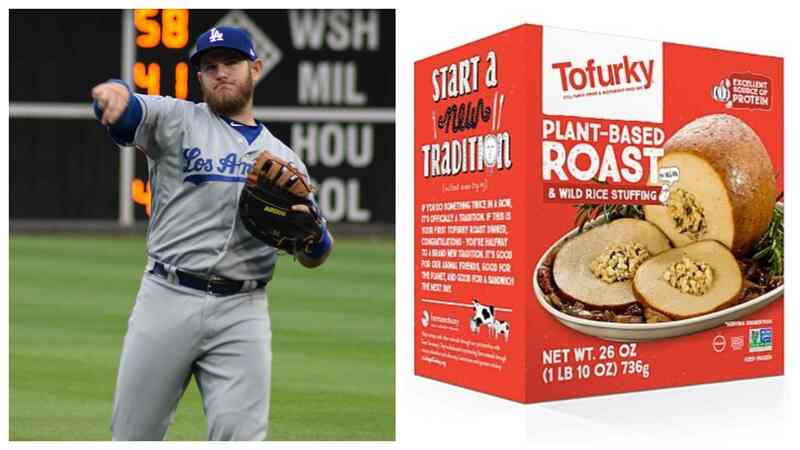 "PETA is eager to help the Dodgers extend the holiday spirit of giving to gentle turkeys and vegan fans," PETA Executive Vice President, Tracy Reiman, said in a statement. "Since millions of Americans now enjoy a meat-free holiday for animal rights, health, religious, or environmental reasons, offering a delicious Tofurky roast will be a grand slam." The charity added: "Choosing Tofurky roasts spares turkeys the agony of being crammed into filthy warehouses and electrocuted before their throats are slit, often while they're still conscious."